“Patton Watches Over His Troops”, copyrighted photo by CAStone, Luxembourg American Military Cemetery, Hamm, Luxembourg, 14 June 2014. The Random Incident Statistical Correlation System (RISC) is a comparison biometric profiling and correlation system Chief Stone developed during his law enforcement career and utilized in his investigative reports submitted to JPAC during his tenure with the Department of Defense. Foundation researchers continue to use the system as an investigative research technique. It is nothing more than a method using basic measurement comparisons and common sense deductive reasoning to narrow down a list of potential matches to be recommended for a full forensic analysis. The system is not, nor was it ever intended to be, a scientific identification tool to supplant DNA or other forms of forensic identification. There have now been multiple identifications from “Unknowns” who were disinterred or were in storage at the JPAC/DPAA Laboratory for which Chief Stone or other Foundation researchers used the RISC System to provide a report to the Department of Defense or a family member with a list of matches. The RISC System has proven to be over 90% accurate in selecting the missing American serviceman as a match PRIOR to the official identification. Below are American servicemen whose MIA cases were the subject of investigations by Chief Rick Stone while at JPAC or by researchers and investigators at the Chief Rick Stone and Family Charitable Foundation. They are listed in chronological order beginning with the most recent announcement of identification by the Department of Defense. Fireman 3rd Class Harold Kendall Costill boarded the USS West Virginia as a member of the battleship’s crew on 4 August 1941. He was on board the West Virginia when the Japanese attacked Pearl Harbor on 7 December 1941. After the attack F3c Costill’s body could not be identified and he was listed as “Missing in Action” (MIA). While at the Department of Defense (DoD) in January 2012, Chief Stone prepared reports on all of the West Virginia’s MIA’s using the RISC System which listed F3c Costill as a Most Likely Match to only one West Virginia “Unknown” buried the Punchbowl Cemetery in Honolulu. Foundation researchers, using advanced law enforcement investigative techniques and sophisticated technologies not available at the Department of Defense (DoD), continued to research F3c Costill’s case and, upon request, prepared a comprehensive “Family Report” to F3c Costill’s family on 7 September 2015 which confirmed his status a Most Likely Match to only one Punchbowl “Unknown.” On 13 June 2017, after over five years, the Department of Defense finally decided to act on Chief Stone recommendations and began disinterring all of the USS West Virginia Unknowns. F3c Costill was recovered from the grave site indicated by Chief Stone’s research in 2012 and his identification was officially announced by the DoD on 19 April 2019. Staff Sergeant Vincent Jerome Rogers, Jr. was the assistant radio operator of a B-24 Liberator bomber, nicknamed “Miss Bee Haven”, which crashed on take off from Tarawa on 21 January 1944. While at JPAC in 2011/2012, Chief Stone prepared reports which noted that SSGT Rogers was one of eleven known recovered casualties from two crashes on that date. Chief Stone’s reports noted that four were buried as “Unknowns” in the Punchbowl and seven remained buried in an undiscovered cemetery on Tarawa. In 2014, the Foundation provided research material to the March Field Air Museum in California for an exhibit about SSGT Rogers. In 2016, the U.S. Congress requested a report from the Foundation on the case of the eleven missing fliers which was immediately forwarded. The Congressional Report listed the seven aircrew casualties who were still buried on Tarawa and gave the location of their grave site, along with the four Punchbowl Unknowns. One of the Punchbowl Unknowns identified by Foundation Research was SSGT Rogers. SSGT Rogers was recovered from the Punchbowl gravesite identified by Foundation research and his identification was officially announced on 1 April 2019. Staff Sergeant Carl Melvin Shaffer was the radio operator of a B-24 Liberator bomber, nicknamed “Gallopin’ Gus”, which crashed on take off from Tarawa on 21 January 1944. While at JPAC in 2011/2012, Chief Stone prepared reports which noted that SSGT Shaffer was one of eleven known recovered casualties from two crashes on that date. Chief Stone’s reports noted that four were buried as “Unknowns” in the Punchbowl and seven remained buried in an undiscovered cemetery on Tarawa. In 2016, the U.S. Congress requested a report from the Foundation on the case of the eleven missing fliers which was immediately forwarded. The Congressional Report listed the seven aircrew casualties who were still buried on Tarawa, including SSGT Shaffer, and gave the location of their grave site. In 2017, the Foundation received an “Investigative Report” request from SSGT Shaffer’s home town in Pottstown, Pennsylvania which confirmed that Carl Shaffer remained buried on Tarawa in Cemetery 33, Plot 13, Row 2, Grave Number 5. SSGT Shaffer was recovered from the site indicated by Foundation research and his identification was officially announced on 25 February 2019. 1st Lieutenant Howard Thomas Lurcott was the pilot of a B-24 Liberator bomber, nicknamed “Gallopin’ Gus”, which crashed on take off from Tarawa on 21 January 1944. While at JPAC in 2011/2012, Chief Stone prepared reports which noted that 1st LT Lurcott was one of eleven known recovered casualties from two crashes on that date. Chief Stone’s reports noted that four were buried as “Unknowns” in the Punchbowl and seven remained buried in an undiscovered cemetery on Tarawa. In 2016, the U.S. Congress requested a report from the Foundation on the case of the eleven missing fliers which was immediately forwarded. The Congressional Report listed the seven aircrew casualties who were still buried on Tarawa and gave the location of their grave site. 1st LT Lurcott was recovered as Unknown X-15 from the Punchbowl as indicated by Foundation research and his identification was officially announced on 31 January 2019. John Owen Morris was a member of an aircraft service unit stationed on Tarawa after the battle. On 16 December 1943, John Morris was struck in the chest and immediately killed by the accidental discharge of a machine gun that was being tested by a Marine. While at the Department of Defense (DoD) in 2011/2012, Chief Stone prepared reports on all of the Tarawa MIA’s. Foundation researchers, using advanced investigative techniques and technologies not available at DoD or to the government contractors paid to recover remains, continued to research AMM1c Morris’ case. In 2013, the Foundation determined that John Morris remained buried on Tarawa in Cemetery 33, Plot 13, Row 1, Grave Number 17. AMM1c Morris was finally recovered in 2017 from the site indicated by Foundation research and his identification was officially announced by DoD on 14 November 2018. PVT Fred Evert Freet was killed by a gunshot wound on 20 November 1943 on Tarawa. On 26 November 2012, Foundation researchers, using information not available at JPAC, submitted a report to JPAC noting PVT Freet’s likely burial in Cemetery 27 on Tarawa, also known as the “Lost Cemetery”. The Foundation later received a request for a “Family Report” from PVT Freet’s family which was forwarded on 14 February 2014 citing PVT Freet’s likely burial on Tarawa in Cemetery 27, Row 1, Grave 2. During a construction project in 2015, Cemetery 27 was finally discovered underneath a parking lot on Tarawa. PVT Freet was recovered from Cemetery 27, Row 1, Grave 2 and his identification was announced on October 30, 2018. PFC William Edward Brandenburg was reported as Killed in Action due to gunshot wounds to the abdomen on 20 November 1943 on Tarawa. In 2011/2012, Chief Rick Stone, while a member of the Department of Defense, investigated all of the unresolved Tarawa casualties who were buried as “Unknowns” in the Punchbowl Cemetery. Foundation researchers, using advanced law enforcement investigative techniques and sophisticated technologies not available to DoD or their contractors, continued to investigate PFC Brandenburg’s case and determined that PFC Brandenburg was a most likely match to only two Punchbowl “Unknowns”. On 29 October 2018 the Department of Defense announced that PFC Brandenburg had been identified. In January 2019 the Foundation confirmed that PFC Brandenburg was one of the two Punchbowl “Unknowns” selected by the Foundation to be a Most Likely Match. F1c Angelo Michael Gabriele boarded the USS West Virginia as a member of the battleship’s crew on 29 October 1940. He was on board the West Virginia when the Japanese attacked Pearl Harbor on 7 December 1941. After the attack F1c Gabriele’s body could not be identified and he was listed as “Missing in Action” (MIA). While at the Department of Defense (DoD) in January 2012, Chief Stone prepared reports on all of the West Virginia’s MIA’s using the RISC System which listed F1c Gabriele as a possible match to “Halawa Unknown X-136” buried the Punchbowl Cemetery in Honolulu. Foundation researchers, using advanced law enforcement investigative techniques and sophisticated technologies not available at the Department of Defense (DoD), continued to research F1c Gabriele’s case and upgraded F1c Gabriele’s status as a Most Likely Match to Unknown X-136. In 2017, after over five years, the Department of Defense finally decided to act on Chief Stone recommendations and began disinterring all of the USS West Virginia Unknowns. F1c Gabriele was recovered from the grave site indicated by Chief Stone’s research in 2012 and his identification was officially announced by the DoD on 25 October 2018. On 8 March 2019, DPAA confirmed that Halawa Unknown X-136 was F1c Gabriele. Elvis Nelson Spotts was a “Wiper” on board the SS Cape Isabel delivering supplies to Tarawa after the battle. On 22 February 1944, Elvis Spotts was killed by accidental electrocution while performing maintenance activities on board the transport ship. While at the Department of Defense (DoD) in 2011/2012, Chief Stone prepared reports on all of the Tarawa MIA’s. Foundation researchers, using advanced investigative techniques and technologies not available at DoD or to the government contractors paid to recover remains, continued to research Wiper Spotts’ case. In 2013, the Foundation determined that Elvis Spotts remained buried on Tarawa in Cemetery 33, Plot 13, Row 3, Grave Number 16. Merchant Marine Spotts was recovered from the site indicated by Foundation research in 2017 and his identification was officially announced by DoD on 24 October 2018. SGT Dwight Wade Randall was originally reported as Killed in Action on 20 November 1943 on Tarawa. On 14 October 2011, Chief Rick Stone, while a member of the Department of Defense, investigated the case of Tarawa “Unknown X-162” using the RISC System and determined that SGT Randall was a possible match to “Unknown X-162”, buried in the Punchbowl Cemetery in Honolulu. The Chief Rick Stone and Family Charitable Foundation researchers, using advanced law enforcement investigative techniques and sophisticated technologies not available to DoD or their contractors, continued to investigate SGT Randall’s case. A comprehensive report was provided upon request to SGT Randall’s family in September 2013. Based on new information obtained in 2014, SGT Randall was upgraded to a “Most Likely Match” to X-162. After over five years, the Department of Defense finally decided to act on Chief Stone’s recommendations for disinterment and identification of all of the Tarawa Punchbowl “Unknowns” in October 2016. In September 2017, the Foundation provided SGT Randall’s family with an updated Family Report which confirmed SGT Randall as a “Most Likely Match” to X-162. In October 2018, the USMC confirmed that SGT Randall was Punchbowl Unknown X-162. PFC Michael Leo Salerno was originally reported as Missing in Action on 20 November 1943 on Tarawa. On 14 December 2011, Chief Rick Stone, while a member of the Department of Defense, submitted an official investigative report which listed PFC Salerno as a possible match to Unknown X-267, buried in the Punchbowl Cemetery. Foundation researchers, using advanced law enforcement investigative techniques and sophisticated technologies not available to DoD or their contractors, continued to investigate PFC Salerno’s case and determined that PFC Salerno was a most likely match to only one Punchbowl “Unknown”: X-267. On 13 November, 2018 the Department of Defense confirmed that PFC Salerno had been identified as Unknown X-267 recovered from the Punchbowl Cemetery in 2016. S2c Deward William Duncan, Jr., was a member of a Standard Landing Craft Unit on Tarawa after the battle. On 12 January 1944, S2c Duncan was killed by bomb fragments to his shoulder and neck during a nighttime attack by Japanese aircraft. While at the Department of Defense (DoD) in 2011/2012, Chief Stone prepared reports which noted that S2c Duncan was not a most likely match to any Tarawa casualties who were buried as “Unknowns” in the Punchbowl Cemetery in Hawaii. Foundation researchers, using advanced investigative techniques and technologies not available at DoD or to the government contractors paid to recover remains, continued to research S2c Duncan’s case. In 2013, the Foundation determined that S2c Duncan remained buried on Tarawa in Cemetery 33, Plot 13, Row 2, Grave Number 17. S2c Duncan was recovered from the site indicated by Foundation research in 2017 and his identification was officially announced by DoD on 27 September 2018. SSGT Karl Richard Loesche, 3rd Pursuit Squadron, 24th Pursuit Group, U.S. Army Air Corps, was captured by the Japanese during the Battle of Bataan and imprisoned in the Cabanatuan Prisoner of War Camp in the Philippines where he died of dysentery on 16 November 1942. SSGT Loesche was buried in a common grave # 720 in the camp with seven other American prisoners. After the war, seven individuals were identified from the grave and one “Unknown” (X-882) was buried in the Manila American Cemetery. The Foundation was asked by SSGT Loesche’s family to investigate this case and prepared an comprehensive Family Report on June 2, 2013 using the RISC System to list SSGT Loesche as a “Most Likely Match” to Unknown X-882. The Foundation offered the investigative report to the Department of Defense and no response was received. SSGT Loesche was identified as Unknown X-882 by the Department of Defense on 17 September 2018. PFC Leonard Anthony Tyma was originally reported as Missing in Action on 20 November 1943 on Tarawa. In 2011/2012, Chief Rick Stone, while a member of the Department of Defense, investigated all of the unresolved Tarawa casualties and requested information from the JPAC Laboratory on multiple sets of remains found on Tarawa that had been turned over to JPAC in 2009. The JPAC Lab refused to provide any information on these remains to their own Intelligence Section under Chief Stone which was investigating the Tarawa missing. In May 2016, the Chief Rick Stone and Family Charitable Foundation received a Family Report request from PFC Tyma’s family which was immediately provided. Foundation researchers, using advanced law enforcement investigative techniques and sophisticated technologies not available to DoD or their contractors, continued to investigate PFC Tyma’s case and determined in 2017 that PFC Tyma was not a most likely match to any Punchbowl “Unknowns”. After over nine years, on 11 September 2018 the Department of Defense finally announced that PFC Tyma had been identified as one of the sets of remains recovered from Tarawa in 2009. SGT Millard Odom was originally reported as Killed in Action by gunshot wounds to the neck and chest on 20 November 1943 on Tarawa. On 14 December 2011, Chief Rick Stone, while a member of the Department of Defense, investigated the case of Tarawa “Unknown X-273” using the RISC System and determined that SGT Odom was buried as “Unknown X-273” in the Punchbowl Cemetery in Honolulu in 1947. The Chief Rick Stone and Family Charitable Foundation researchers, using advanced law enforcement investigative techniques and sophisticated technologies not available to DoD or their contractors, continued to investigate SGT Odom’s case and confirmed that SGT Odom was a most likely match to only one Punchbowl “Unknown”: X-273. A comprehensive report was provided upon request to SGT Odom’s family in 2015. After over five years, the Department of Defense finally decided to act on Chief Stone’s recommendations for disinterment and identification of all of the Tarawa Punchbowl “Unknowns” in October 2016. In August 2018, the USMC confirmed that SGT Odom was Punchbowl Unknown X-273. PhM3c William Horace Blancheri was originally reported as Missing in Action on 20 November 1943 on Tarawa. On 17 February 2012, Chief Rick Stone, while a member of the Department of Defense, using the RISC System determined that PhM3c Blancheri was a probable match to Unknown X-16, buried as an “Unknown” in the Punchbowl Cemetery in Honolulu in 1947. The Chief Rick Stone and Family Charitable Foundation researchers, using advanced law enforcement investigative techniques and sophisticated technologies not available to DoD or their contractors, continued to investigate PhM3c Blancheri’s case and confirmed that PhM3c Blancheri was a most likely match to only one Punchbowl “Unknown”: X-16. After over five years, the Department of Defense finally decided to act on Chief Stone’s recommendations for disinterment and identification of all of the Tarawa Punchbowl “Unknowns”. On 27 August 2018, PhM3c Blancheri was officially announced as Punchbowl Unknown X-16. TSGT Harry Arnold Carlsen was originally reported as Killed in Action on 20 November 1943 on Tarawa. On 26 March 2012, Chief Rick Stone, while a member of the Department of Defense, submitted an official investigative report using the RISC System and determined that TSGT Carlsen was definitively buried as “Unknown X-82” in the Punchbowl Cemetery in Honolulu in 1947. The Chief Rick Stone and Family Charitable Foundation researchers, using advanced law enforcement investigative techniques and sophisticated technologies not available to DoD or their contractors, continued to investigate TSGT Carlsen’s case and confirmed that TSGT Carlsen was a most likely match to only one Punchbowl “Unknown”: X-82. Comprehensive reports were provided upon request to TSGT Carlsen’s family in 2013, 2014, and 2016. A member of the U.S. Congress also requested an investigative report in 2013, which was immediately provided. After over five years, the Department of Defense finally decided to act on Chief Stone’s recommendations for disinterment and identification of all of the Tarawa Punchbowl “Unknowns”. On 16 August 2018, the USMC confirmed that TSGT Carlsen was Punchbowl Unknown X-82. PFC Robert Leroy Zehetner was originally reported as Missing in Action on 20 November 1943 on Tarawa. On 24 March 2012, Chief Rick Stone, while a member of the Department of Defense, investigated all of the unresolved Tarawa casualties and determined that PFC Zehetner was a possible match to Unknown X-79, buried in the Punchbowl Cemetery in Honolulu in 1947. The Chief Rick Stone and Family Charitable Foundation researchers, using advanced law enforcement investigative techniques and sophisticated technologies not available to DoD or their contractors, continued to investigate PFC Zehetner’s case. After over five years, the Department of Defense finally decided to act on Chief Stone’s recommendations for disinterment and identification of all of the Tarawa Punchbowl “Unknowns”. On 31 July 2018, PFC Zehetner was officially announced as Punchbowl Unknown X-79. CPL Claire Eulin Goldtrap was reported as Killed in Action due to gunshot and shrapnel wounds on 20 November 1943 on Tarawa. In 2011/2012, Chief Rick Stone, while a member of the Department of Defense, investigated all of the unresolved Tarawa casualties and determined that CPL Goldtrap was buried as an “Unknown” in the Punchbowl Cemetery in Honolulu in 1948. The Chief Rick Stone and Family Charitable Foundation researchers, using advanced law enforcement investigative techniques and sophisticated technologies not available to DoD or their contractors, continued to investigate CPL Goldtrap’s case and confirmed that CPL Goldtrap was a most likely match to only three Punchbowl “Unknowns”. After over five years, the Department of Defense finally decided to act on Chief Stone’s recommendations for disinterment and identification of all of the Tarawa Punchbowl “Unknowns”. On 31 July 2018, CPL Goldtrap was officially announced as a Punchbowl Unknown. On 4 March 2019, DPAA confirmed that CPL Goldtrap was Unknown X-277 from which he was selected as a Most Likely Match by Chief Stone while at the DoD on 16 December 2011. PFC Merton Raymond Riser was reported “Missing in Action” on 20 November 1943 during the Battle of Tarawa. While at JPAC on November 11, 2011, Chief Stone prepared reports using the RISC System which listed PFC Riser as a Most Likely Match to only one “Unknown” buried in the Punchbowl: X-144. The Foundation later provided PFC Riser’s family with a comprehensive report on his case in March 2014. PFC Riser’s identification was announced by the Department of Defense on 27 July 2018 and confirmed as Tarawa Unknown X-144 . PFC Paul David Gilman was reported “Killed in Action” due to a gunshot wound on 20 November 1943 on Tarawa. In April 2013, The Chief Rick Stone and Family Charitable Foundation received a Family Report request from PFC Gilman’s family which concluded that the preponderance of the evidence indicated that PFC Gilman was NOT an “Unknown” buried in the Punchbowl Cemetery. Foundation researchers, using advanced law enforcement investigative techniques and sophisticated technologies not available to DoD or to “non-profit” government contractors paid millions in taxpayer dollars to recover remains, continued to research PFC Gilman’s case concluding that PFC Gilman was buried on Tarawa in Grave Number 39 of Cemetery 27, also known as the “Lost Cemetery”. During a construction project in 2015, Cemetery 27 was discovered underneath a parking lot on Tarawa. PFC Gilman was recovered from Grave Number 39 at this site on Tarawa and his identification was officially announced on 11 June 2018. PFC William Franklin Cavin was reported as Killed in Action due to gunshot wounds on 20 November 1943 on Tarawa. In 2011/2012, Chief Rick Stone, while a member of the Department of Defense, investigated all of the unresolved Tarawa casualties and determined that PFC Cavin was likely originally buried as an “Unknown” in Cemetery 33 on Tarawa and was moved as an “unknown” to the Punchbowl Cemetery in Honolulu in 1947. Foundation researchers, using advanced law enforcement investigative techniques and sophisticated technologies not available to DoD or to “non-profit” government contractors paid millions in taxpayer dollars to recover remains, continued to research PFC Cavin’s case. After over five years, the Department of Defense finally decided to act on Chief Stone’s recommendations for disinterment and identification of all of the Tarawa Punchbowl “Unknowns”. On 3 May 2018, PFC Cavin was officially confirmed by the Department of Defense as a Punchbowl Unknown. PFC Clarence Eli Drumheiser was reported “Killed in Action” by gunshot and shrapnel wounds to the head on 22 November 1943 during the Battle of Tarawa. While at JPAC on 19 February 2012, Chief Rick Stone prepared reports which listed PFC Drumheiser as a Probable Match to Unknown X-25, buried in the Punchbowl. The Foundation later provided PFC Drumheiser’s family with a comprehensive report on his case in 2013. JPAC/DPAA consistently failed to act on the Foundation’s requests for PFC Drumheiser’s dental records until a Federal FOIA lawsuit was filed demanding the records so that the list of matches could be reduced even further by the RISC System. Despite this impediment to solving PFC Drumheiser’s case by JPAC/DPAA, Foundation investigators refined and updated the original investigations to list PFC Drumheiser as a “Most Likely Match” to Unknown X-25 in 2015. PFC Drumheiser’s identification was announced by the Department of Defense on 19 April 2018 and finally confirmed six months later that PFC Drumheiser was Unknown X-25. Captain George Van Vleet, Jr., U.S. Army Air Corps, 38th Bomb Group, was a passenger on a B-24 Liberator bomber, nicknamed “Miss Bee Haven”, which crashed on take off from Tarawa on 21 January 1944. While a member of the Department of Defense in 2011/2012, Chief Rick Stone prepared reports which noted that CAPT Van Vleet was one of eleven known recovered casualties from two crashes on that date. Chief Stone’s reports noted that four were buried as “Unknowns” in the Punchbowl and seven remained buried in an undiscovered cemetery plot on Tarawa. In the official report submitted by Chief Stone on 9 February 2012 to the Joint POW/MIA Accounting Command, Captain Van Vleet was listed as a “Most Likely Match” to Unknown X-14. In August 2016, the U.S. Congress requested a report from the Foundation on the case of the eleven missing fliers which was immediately forwarded and provided to the Department of Defense. The Congressional Report, using the RISC System and sophisticated technologies not available to DoD or its contractors, listed CAPT Van Vleet as one of the four aircrew casualties who were buried as an “Unknown” in the Punchbowl and again specifically confirmed that CAPT Van Vleet was a “Most Likely Match” to Unknown X-14. The Department of Defense finally decided to act upon Chief Stone’s recommendations for disinterment of all the Tarawa “Unknowns” in October 2016. In September and November 2016, the Foundation received “Family Report” requests from CAPT Van Vleet’s family which were provided immediately with updated information on the case. CAPT Van Vleet’s identification was officially announced on 23 March 2018 and he was subsequently confirmed as being Unknown X-14. 2nd LT William W. Shank, U.S. Army Air Force, 55th Fighter Group, 338th Fighter Squadron, 8th Air Force, was the pilot of a P-38H lost while escorting 268 B-17’s and B-24’s on a bombing mission to Bremen, Germany on 13 November 1943. His MIA case was assigned to Chief Stone to investigate as a member of the Department of Defense. Chief Stone submitted a report on 18 October 2011 noting that LT Shank was a “Most Likely Match” to Neuville Unknown X-7466 buried in the U. S. Military Cemetery, Neuville-En-Condroz, Belgium. Chief Stone concluded that Unknown X-7466 was exclusively correlated to LT Shank to exclusion of all other MIA’s. After six and a half years, Unknown X-7466 was finally recovered from the American cemetery in Belgium and officially identified as LT Shank on 8 March 2018. Radioman 3rd Class Howard Verne Keffer, U.S. Navy Reserves, was reported “Missing in Action” during the attack on Pearl Harbor on 7 December 1941. 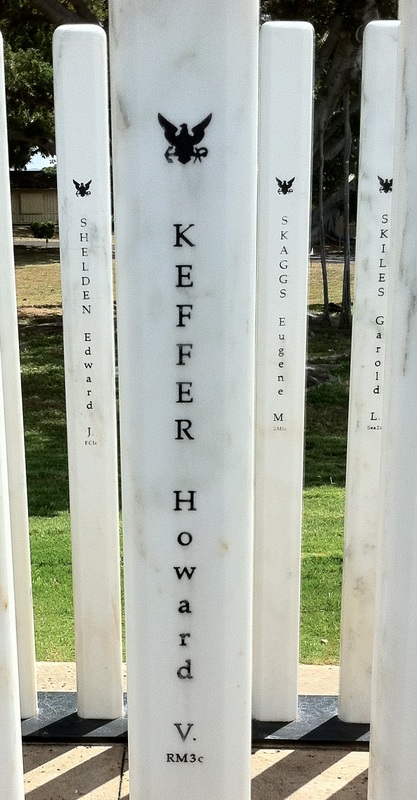 RM3c Keffer was a crew member of the USS Oklahoma. Upon request, the Foundation provided RM3c Keffer’s family with a comprehensive report on 17 March 2014 which listed RM3c as an “Unknown” buried in the Punchbowl Cemetery in Honolulu. After the disbanding of JPAC, its replacement agency (DPAA) exhumed RM3c Keffer in 2015 and his identification was announced by the Department of Defense on 7 March 2018. PFC Herman Walter Mulligan, Jr., L Company, 3rd Battalion, 22nd Marines was reported “Missing in Action” by a the explosion of a Japanese ammunition bunker on 30 May 1945, during the Battle of Okinawa. A case investigation of his status was initiated in 2011/2012 by the WWII Research and Investigations Branch, J-2 Intelligence Section, U.S. Navy, under the command of Dr. Kristina Giannotta and Deputy Chief Rick Stone. Mr. Andrew Speelhoffer was assigned as the primary investigator. The investigation concluded that PFC Mulligan was most likely buried as “Okinawa Unknown X-35”. After almost six years, the Defense POW/MIA Accounting Agency decided to act on the official recommendations for disinterment and identification of the “Unknown” believed to be PFC Mulligan. Unknown X-35 was publicly confirmed as PFC Herman Walter Mulligan, Jr. on 28 February 2018. 2nd LT Harvel Lee Moore was reported “Killed in Action” by a gunshot wound on 22 November 1943, during the Battle of Tarawa. Upon request, the Foundation provided LT Moore’s family with a comprehensive report in 2017 which listed LT Moore as a possible match to field recoveries from Tarawa in recent years. LT Moore’s identification as a field recovery was announced by the Department of Defense on 22 February 2018. PFC Joe Lukie was reported “Missing in Action” on 20 November 1943, during the Battle of Tarawa. In an official report submitted by Chief Stone while a member of the Department of Defense on 19 October 2011 to the Joint POW/MIA Accounting Command, PFC Lukie was listed as a “Most Likely Match” to Unknown X-201. The Foundation later refined the Tarawa investigations completed by Chief Stone at the Department of Defense. The Foundation, using the RISC System and sophisticated technologies not available to DoD or its contractors, confirmed PFC Lukie as a “Most Likely Match” to X-201. In May 2013, the Foundation received a “Family Report” request from PFC Lukie’s family which was immediately provided. DPAA finally acted on Chief Stone’s original recommendations and began exhumation of the Tarawa “Unknowns” from the Punchbowl in October 2016. PFC Lukie was recovered from the Punchbowl and his identification was officially announced on 21 February 2018. PFC Lukie was subsequently confirmed by the Department of Defense as being Unknown X-201. PFC Jack Harvey Krieger was reported “Killed in Action” by gunshot wounds on 20 November 1943, during the Battle of Tarawa. While at JPAC on 16 September 2011, Chief Rick Stone prepared reports which listed PFC Krieger as a possible match to Unknown X-224, buried in the Punchbowl. The Foundation refined the original Tarawa investigations completed by Chief Stone using the RISC System and advanced technologies not available at DoD or to the “non-profit” contractor which the government actually pays millions of taxpayer dollars each year to recover remains. The Foundation’s investigation confirmed PFC Krieger as a “Most Likely Match” to Unknown X-224. After almost five years, the Defense POW/MIA Accounting Agency finally decided to act on the official recommendations of Chief Stone for disinterment and identification of the Punchbowl Unknowns from Tarawa. PFC Krieger’s identification was announced by the Department of Defense on 1 February 2018 and has now been confirmed as Unknown X-224. PVT Emil Francesco Ragucci was reported “Killed in Action” by gunshot wounds on 20 November 1943 during the Battle of Tarawa. While at the Department of Defense (DoD) in 2011/2012, Chief Rick Stone investigated all of the cases of Tarawa MIAs and prepared official reports listing each MIA’s likelihood of being one of the “Tarawa Unknowns” buried in the Punchbowl. In February 2013 and April 2015, the Chief Rick Stone and Family Charitable Foundation, using advanced law enforcement techniques and sophisticated technologies not available to DoD or their contractors, was requested to provide PVT Ragucci’s family with comprehensive reports which refined and updated the previous investigations. On March 9, 2017, the Defense POW/MIA Accounting Agency (DPAA) requested an updated investigative report by the Foundation regarding PVT Ragucci’s case. The report was immediately provided to the DoD and associated PVT Ragucci’s burial site to a specific location on Tarawa. PVT Ragucci’s identification was announced as a field recovery from Tarawa by the Department of Defense on 4 December 2017. PFC Lyle Ellis Charpilloz was reported “Killed in Action” by gunshot wounds on 20 November 1943, during the Battle of Tarawa. While at JPAC in 2011/2012, Chief Stone prepared reports which did not list PFC Charpilloz as a Most Likely Match to any “Unknowns” buried in the Punchbowl. The Foundation later provided PFC Charpilloz’ family with reports in 2013 and 2016 which confirmed the original investigation. The Foundation listed PFC Charpilloz as a possible match to field recoveries from Tarawa in recent years. PFC Charpilloz’ identification was announced by the Department of Defense on 4 December 2017. 1st SGT David Harvey Quinn was reported “Killed in Action” by shrapnel wounds on 20 November 1943, during the Battle of Tarawa. In an official report submitted by Chief Stone while a member of the Department of Defense on 8 November 2011 to the Joint POW/MIA Accounting Command, 1st SGT Quinn was listed as a “Most Likely Match” to Unknown X-115. The Foundation later refined the Tarawa investigations completed by Chief Stone at the Department of Defense. The Foundation, using the RISC System and sophisticated technologies not available to DoD or their contractors, confirmed 1st SGT Quinn as a “Most Likely Match” to X-115. In April 2013 and December 2016, the Foundation received a “Family Report” request from 1st SGT Quinn’s family which was immediately provided. DPAA finally acted on Chief Stone’s original recommendations and began exhumation of the Tarawa “Unknowns” from the Punchbowl in October 2016. 1st SGT Quinn was recovered from the Punchbowl and his identification was officially announced on 29 November 2017. 1st SGT Quinn was subsequently confirmed by the Department of Defense as being Unknown X-115. PFC Arnold Junior Harrison was reported “Killed in Action” by a gunshot wound to the head on his 20th birthday, 20 November 1943, during the Battle of Tarawa. While at JPAC in 2011/2012, Chief Stone prepared reports which listed PFC Harrison as a Most Likely Match to five “Unknowns” buried in the Punchbowl. The Foundation later enhanced the Tarawa investigations completed by Chief Stone at the Department of Defense after acquiring information and technologies not available at JPAC. The Foundation, using the RISC System, listed PFC Harrison as a “Most Likely Match” to Unknown X-166, buried in the Punchbowl Cemetery. DPAA finally acted on Chief Stone’s original recommendations and began exhumation of the Tarawa “Unknowns” from the Punchbowl in October 2016. PFC Harrison was recovered from the Punchbowl and his identification as X-166 was officially announced on 20 October 2017. CPL Raymond Aurther Barker was reported “Missing in Action” on 20 November 1943 on Tarawa. The Foundation received a request for a “Family Report” from CPL Barker’s family which was forwarded on February 4, 2013. In 2014, Foundation researchers, using information not available at JPAC, updated four reports submitted to JPAC in 2011/2012 noting that CPL Barker was not a most likely match to any “Unknowns” buried in the Punchbowl but that he was possibly buried on Tarawa. CPL Barker was recovered from an unmarked grave on Tarawa and his identification was officially announced on 17 October 2017. CPL John Vincent McNichol was reported “Killed in Action” by gunshot wounds on 21 November 1943 on Tarawa. The Foundation received a request for a “Family Report” from CPL McNichol’s family which was forwarded on December 14, 2013 noting that CPL McNichol was not a most likely match to any “Unknowns” buried in the Punchbowl but that he was possibly buried on Tarawa. CPL McNichol was recovered from an unmarked grave on Tarawa and his identification was officially announced on 17 October 2017. SGT Elden William Grimm was reported “Missing in Action” on 25 November 1943 during the Battle of Tarawa. In an official report submitted by Chief Stone while a member of the Department of Defense on 22 November 2011 to the Joint POW/MIA Accounting Command, SGT Grimm was listed as a “Most Likely Match” to Unknown X-150. The Foundation later refined the Tarawa investigations completed by Chief Stone at the Department of Defense. The Foundation, using the RISC System and sophisticated technologies not available to DoD or its contractors, confirmed SGT Grimm as a “Most Likely Match” to X-150. In April 2013, the Foundation received a “Family Report” request from SGT Grimm’s family which was immediately provided. DPAA finally acted on Chief Stone’s original recommendations and began exhumation of the Tarawa “Unknowns” from the Punchbowl in October 2016. SGT Grimm was recovered from the Punchbowl and his identification was officially announced on 17 September 2017. SGT Grimm was subsequently confirmed by the Department of Defense as being Unknown X-150. PFC Edwin William Jordan was killed by gunshot wounds on 20 November 1943 on Tarawa. In 2011/2012, Chief Stone, while a member of the Department of Defense, submitted reports to JPAC noting that PFC Jordan was not a match to any “Unknowns” in the National Memorial Cemetery of the Pacific (Punchbowl). Continued investigation by the Foundation uncovered additional information to confirm Chief Stone’s original reports that PFC Jordan was not a most likely match to any “Unknowns” in the Punchbowl. In May 2017, a local resident on Tarawa discovered a previously unknown and unrecorded burial trench on Tarawa while building a carport. PFC Jordan was recovered from an unmarked grave at this site on Tarawa and his identification was officially announced on 17 October 2017. PFC Albert Strange was reported “Missing in Action” on 20 November 1943 on Tarawa. Continued investigation by the Foundation uncovered additional information to indicate that PFC Strange was not a most likely match to any “Unknowns” in the Punchbowl. In May 2017, a local resident on Tarawa discovered a previously unknown and unrecorded burial trench on Tarawa while building a carport. PFC Strange was recovered from an unmarked grave at this site on Tarawa and his identification was officially announced on 17 October 2017. PhM2c Thomas Jesse Murphy was killed by a gunshot wound on 20 November 1943 on Tarawa. The Foundation later received a request for a “Family Report” from PhM2c Murphy’s family which was forwarded on September 25, 2016 noting that PhM2c Murphy was not a most likely match to any “Unknowns” buried in the Punchbowl. In May 2017, a local resident on Tarawa discovered a previously unknown and unrecorded burial trench on Tarawa while building a carport. PhM2c Murphy was recovered from an unmarked grave at this location on Tarawa and his identification was officially announced on 11 October 2017. PFC Harold Patrick Hannon was killed by a gunshot wound to the head on 20 November 1943 on Tarawa. In May 2017, a local resident on Tarawa discovered a previously unknown and unrecorded burial trench on Tarawa while building a carport. PFC Hannon was recovered from an unmarked grave at this site and his identification was officially announced on 5 October 2017. PFC Donald Ross Tolson was reported “Missing in Action” on 20 November 1943 on Tarawa. Continued investigation by the Foundation uncovered additional information to indicate that PFC Tolson was not a most likely match to any “Unknowns” in the Punchbowl. In May 2017, a local resident on Tarawa discovered PFC Tolson’s dog tags in a previously unknown and unrecorded burial trench on Tarawa while building a carport. PFC Tolson was recovered from an unmarked grave at this site on Tarawa and his identification was officially announced on 17 October 2017. PVT Charles Arvan Drew was reported “Missing in Action” on 20 November 1943 on Tarawa. In May 2017, a local resident on Tarawa discovered a previously unknown and unrecorded burial trench on Tarawa while building a carport. PVT Drew was recovered from an unmarked grave at this site on Tarawa and his identification was officially announced on 28 September 2017. PVT John Merrill Tillman was reported “Killed in Action” by a gunshot wound to the chest on 20 November 1943 during the Battle of Tarawa. While at JPAC in 2011/2012, Chief Stone prepared reports which listed PVT Tillman as a Most Likely Match to three “Unknowns” buried in the Punchbowl. The Foundation later refined the Tarawa investigations completed by Chief Stone at the Department of Defense after acquiring information and technologies not available at JPAC. The Foundation, using the RISC System, listed PVT Tillman as a “Most Likely Match” to Unknown X-35. DPAA finally acted on Chief Stone’s original recommendations and began exhumation of the Tarawa “Unknowns” from the Punchbowl in October 2016. PVT Tillman was recovered from the Punchbowl and his identification as X-35 was officially announced on 28 September 2017. TSGT John Solenberger Bailey was the radio operator on a B-24 Liberator bomber, nicknamed “Miss Bee Haven”, which crashed on take off from Tarawa on 21 January 1944. While at JPAC in 2011/2012, Chief Stone prepared reports which noted that TSGT Bailey was one of eleven known recovered casualties from two crashes on that date. Chief Stone’s reports noted that four were buried as “Unknowns” in the Punchbowl and seven remained buried in an undiscovered cemetery on Tarawa. In 2016, the Foundation received a Family Report request from TSGT Bailey’s family which was provided immediately and noted that he was not a most likely match to any Tarawa “Unknowns” buried in the Punchbowl. Later In 2016, the U.S. Congress requested a report from the Foundation on the case of the eleven missing fliers which was immediately forwarded. The Congressional Report listed TSGT Bailey as one of the seven aircrew casualties who were still buried on Tarawa and gave the location of their grave site. TSGT Bailey was recovered from a grave on Tarawa at the site indicated by Foundation research and his identification was officially announced on 25 September 2017. PFC Harold Vernon Thomas was reported “Killed in Action” by gunshot wounds to the abdomen on 20 November 1943 during the Battle of Tarawa. While at JPAC on 31 March 2012, Chief Rick Stone prepared official reports which listed PFC Thomas as a Possible Match to Unknown X-87 buried in the Punchbowl. The Foundation later refined the Tarawa investigations completed by Chief Stone at the Department of Defense after acquiring information and technologies not available to DoD or their contractors. The Foundation, using the RISC System, listed PFC Thomas as a “Most Likely Match” to only one unknown: X-87. DPAA finally acted on Chief Stone’s original recommendations and began exhumation of the Tarawa “Unknowns” from the Punchbowl in October 2016. PFC Thomas was recovered from the Punchbowl and his identification as Unknown X-87 was officially announced on 13 September 2017. SGT William David Ball, Jr. was reported “Wounded in Action” by gunshot wounds to his arm and shoulder on 20 November 1943 during the Battle of Tarawa. SGT Ball was subsequently lost and presumed killed while being transported off the island for treatment. In an official report submitted by Chief Stone while a member of the Department of Defense on 2 April 2012 to the Joint POW/MIA Accounting Command, SGT Ball was listed as a “Most Likely Match” to Unknown X-89. The Foundation later refined the Tarawa investigations completed by Chief Stone at the Department of Defense. The Foundation, using the RISC System and sophisticated technologies not available to DoD or its contractors, confirmed SGT Ball as a “Most Likely Match” to X-89. DPAA finally acted on Chief Stone’s original recommendations and began exhumation of the Tarawa “Unknowns” from the Punchbowl in October 2016. SGT Ball was recovered from the Punchbowl and his identification was officially announced on 13 September 2017. SGT Ball was subsequently confirmed by the Department of Defense as being Unknown X-89. 2nd LT Donald Eugene Underwood, U.S. Army Air Corps, 38th Bomb Group, was the bombardier on a B-24 Liberator bomber, nicknamed “Miss Bee Haven”, which crashed on take off from Tarawa on 21 January 1944. While at JPAC in 2011/2012, Chief Stone prepared reports which noted that LT Underwood was one of eleven known recovered casualties from two crashes on that date. Chief Stone’s reports noted that four were buried as “Unknowns” in the Punchbowl and seven remained buried in an undiscovered cemetery on Tarawa. In 2013 and 2016, the Foundation received Family Report requests from LT Underwood’s family which were provided immediately with updated information. In 2016, the U.S. Congress requested a report from the Foundation on the case of the eleven missing fliers which was immediately forwarded. The Congressional Report listed LT Underwood as one of the seven aircrew casualties who were still buried on Tarawa and gave the location of their burial. LT Underwood was recovered from a grave on Tarawa at the site indicated by Foundation research and his identification was officially announced on 14 September 2017. PVT George Frank Patrick was reported “Killed in Action” by shrapnel wounds on 20 November 1943 during the Battle of Tarawa. In an official report submitted by Chief Stone while a member of the Department of Defense on 4 November 2011 to the Joint POW/MIA Accounting Command, PVT Patrick was listed as a “Most Likely Match” to Unknown X-100. The Foundation later refined the Tarawa investigations completed by Chief Stone at the Department of Defense. The Foundation, using the RISC System and sophisticated technologies not available to DoD or its contractors, confirmed PVT Patrick as a match to X-100. DPAA finally acted on Chief Stone’s original recommendations and began exhumation of the “Unknowns” from the Punchbowl in October 2016. PVT Patrick was recovered from the Punchbowl and his identification was officially announced on 8 September 2017. PVT Patrick was subsequently confirmed by the Department of Defense as being Unknown X-100. PFC Manuel Menendez was reported “Killed in Action” on 20 November 1943 during the Battle of Tarawa. Chief Rick Stone, while a member of the Department of Defense, submitted an official investigative report which listed PFC Menendez as a probable match to Unknown X-168, buried in the Punchbowl Cemetery. The Foundation later refined the Tarawa investigations completed by Chief Stone at the Department of Defense after acquiring information and technologies not available to Dod or their contractors. The Foundation, using the RISC System, listed PFC Menendez as a “Most Likely Match” to only one unknown: X-168. DPAA finally acted on Chief Stone’s original recommendations and began exhumation of the Tarawa “Unknowns” from the Punchbowl in October 2016. PFC Menendez was recovered from the Punchbowl and his identification as X-168 was officially announced on 8 September 2017. ACK Frank Louis Masoni was reported “Killed in Action” by gunshot wounds on 21 November 1943 during the Battle of Tarawa. On 21 September 2011, Chief Rick Stone while a member of the Department of Defense submitted an official investigative report which listed ACK Masoni as a possible match to Unknown X-206, buried in the Punchbowl Cemetery. The Foundation later refined the Tarawa investigations completed by Chief Stone at the Department of Defense after acquiring information and technologies not available to DoD or their contractors. The Foundation, using the RISC System, listed ACK Masoni as a “Probable Match” to Unknown X-206. DPAA finally acted on Chief Stone’s original recommendations and began exhumation of the Tarawa “Unknowns” from the Punchbowl in October 2016. ACK Masoni was recovered from the Punchbowl and his identification as X-206 was officially announced on 8 September 2017. PVT Alberic Maurice Blanchette was listed as Missing in Action on 20 November 1943 on Tarawa. On 6 October 2011, Chief Rick Stone, using the RISC System, listed PVT Blanchette as a “Possible Match” to Unknown X-153 buried in the Punchbowl. The Foundation later received a request for a “Family Report” from PVT Blanchette’s family which was forwarded on 15 July 2013. DPAA finally acted on Chief Stone’s original recommendations and began exhumation of the “Unknowns” from the Punchbowl in October 2016. DPAA officially announced on 21 July 2017 that PVT Blanchette was recovered from the Punchbowl and identified as X-153. CPL Anthony George Guerriero was killed by a gunshot wound to the head on 21 November 1943 on Tarawa. In an official report submitted by Chief Stone while a member of the Department of Defense on 15 March 2012 to the Joint POW/MIA Accounting Command, CPL Guerriero was listed as a “Most Likely Match” to Unknown X-49. The Foundation later refined the Tarawa investigations completed by Chief Stone at the Department of Defense. The Foundation, using the RISC System and sophisticated technologies not available to DoD or its contractors, confirmed CPL Guerriero as a “Most Likely Match” to X-49. DPAA finally acted on Chief Stone’s original recommendations and began exhumation of the “Unknowns” from the Punchbowl in October 2016. CPL Guerriero was recovered from the Punchbowl and his identification was officially announced on 14 July 2017. CPL Guerriero was subsequently confirmed by the Department of Defense as being Unknown X-49. PFC Lloyd J. Lobdell, A Company, 192nd Tank Battalion, U.S. Army, was captured by the Japanese during the Battle of Bataan and imprisoned in the Cabanatuan Prisoner of War Camp in the Philippines where he died of disease on 19 November 1942. PFC Lobdell was buried in a common grave in the camp with 13 other American prisoners. After the war, four individuals were identified from the grave and ten “unknowns” were buried in the Manila American Cemetery. Chief Stone was asked to investigate these cases as a member of JPAC and prepared a series of Investigative Reports in March 2012 using the RISC System which listed PFC Lobdell as a most likely match to Unknown X-820 recovered from Grave 717 at Cabanatuan. These unknowns had been interred at the Manila American Cemetery since 1946. In 2013, the family of another Cabanatuan “unknown” identified by Chief Stone as being originally buried with PFC Lobdell filed a federal lawsuit seeking disinterment, which JPAC vigorously opposed. The family prevailed in the lawsuit and all of the Grave 717 “unknowns” recommended for disinterment by Chief Stone were exhumed in June 2014. PFC Lobdell was identified as Unknown X-820 by the Armed Forces DNA Identification Laboratory on July 26, 2017. PVT Joseph Carmine Carbone was reported “Missing in Action” on 20 November 1943 during the Battle of Tarawa. Chief Rick Stone, while a member of the Department of Defense, using the RISC System submitted an official investigative report which listed PVT Carbone as a possible match to Unknown X-206 buried in the Punchbowl. The Foundation later refined the Tarawa investigations using information and technologies not available to the Department of Defense or their paid contractors, to list PVT Carbone as a “Most Likely Match” to only one unknown, X-206. DPAA finally acted on Chief Stone’s original recommendations and began exhumation of the “Unknowns” from the Punchbowl in October 2016. The Foundation later received a request for a “Family Report” from PVT Carbone’s family which was forwarded in 2017. PVT Carbone was recovered from the Punchbowl and his identification as X-206 was officially announced on 17 July 2017. CPL Raymond Clark Snapp was killed on 20 November 1943 on Tarawa. On 15 December 2011, Chief Rick Stone, using the RISC System, listed CPL Snapp as a “Possible Match” to Unknown X-275 buried in the Punchbowl. The Foundation later refined these investigations using information and technologies not available at JPAC or their contractors to list CPL Snapp as a “Most Likely Match” to Unknown X-275. DPAA finally acted on Chief Stone’s original recommendations and began exhumation of the “Unknowns” from the Punchbowl in October 2016. CPL Snapp was recovered from the Punchbowl and his identification as X-275 was officially announced on 14 July 2017. PFC Ray James was killed by gunshot wounds on 20 November 1943 on Tarawa. In an official report submitted by Chief Stone while a member of the Department of Defense on 9 August 2011 to the Joint POW/MIA Accounting Command, PFC James was listed as a “Most Likely Match” to Unknown X-163. The Foundation later received a request for a “Family Report” from PFC James’ family which was forwarded on 18 January 2016. The Foundation later refined the Tarawa investigations completed by Chief Stone at the Department of Defense. The Foundation, using the RISC System and sophisticated technologies not available to DoD or its contractors, confirmed PFC James as a match to X-163. DPAA finally acted on Chief Stone’s original recommendations and began exhumation of the “Unknowns” from the Punchbowl in October 2016. PFC James was recovered from the Punchbowl and his identification as X-163 was officially announced on 20 June 2017. PVT Archie William Newell was killed by gunshot wounds on 20 November 1943 on Tarawa. On 26 February 2012, Chief Rick Stone, while a member of the Department of Defense, submitted reports to JPAC using the RISC System noting PVT Newell as a “Probable Match” to “Unknown X-44” buried in the National Memorial Cemetery of the Pacific (Punchbowl) and recommended disinterment and identification. The Foundation later received a request for a “Family Report” from PVT Newell’s family which was forwarded on 15 April 2013. Continued investigation by the Foundation uncovered additional information to update the report to include PVT Newell as a “Probable Match” to Unknowns X-44. DPAA finally acted on Chief Stone’s original 2012 recommendations and began exhumation of the “Unknowns” from the Punchbowl in October 2016. PVT Newell was recovered from the Punchbowl and his identification as X-44 was officially announced on 12 June 2017. PFC George Bernard Murray, U.S. Marine Corps, B Company, 1st Battalion, 2nd Marines, was killed by gunshot wounds to the head and chest on 20 November 1943 and reported buried in Cemetery 33 on Tarawa. In November 2011, Chief Stone, while a member of the Department of Defense, submitted reports to JPAC using the RISC System noting that PFC Murray was not a match to any “Unknowns” in the National Memorial Cemetery of the Pacific (Punchbowl), including those recovered from Cemetery 33. Continued investigation by the Foundation uncovered additional information to confirm Chief Stone’s original reports that PFC Murray was not a most likely match to any “Unknowns” in the Punchbowl. Remains previously recovered by locals on Tarawa were turned over to JPAC in June 2010 where they were stored on the JPAC Laboratory shelf. These remains were finally identified as PFC Murray on 9 June 2017. PFC Sam John Kourkos was killed on 21 November 1943 on Tarawa. On 9 November 2011, Chief Rick Stone, while a member of Department of Defense, submitted an official investigative report which listed PFC Kourkos as a possible match to Unknown X-116, buried in the Punchbowl Cemetery. The Foundation later received a request for a “Family Report” from PFC Kourkos’ family which was forwarded on 9 September 2014. Continuing investigation by the Foundation uncovered additional information to update the report using the RISC System and listed PFC Kourkos as a most likely match to only one “Unknown” buried in the Punchbowl, X-116. DPAA finally acted on Chief Stone’s original recommendations and began exhumation of the “Unknowns” from the Punchbowl in October 2016. PFC Kourkos was recovered from the Punchbowl and his identification as Unknown X-116 was officially announced on May 19, 2017. CPL Henry Andregg, Jr. was killed on 20 November 1943 on Tarawa. In 30 January 2012 Chief Rick Stone, while a member of the Department of Defense, submitted reports to JPAC using the RISC System noting CPL Andregg as a possible match to “Unknown X-3” buried in the National Memorial Cemetery of the Pacific (Punchbowl) and recommended disinterment and identification. The Foundation later received a request for a “Family Report” from CPL Andregg’s family which was forwarded on 25 April 2013. Continuing investigation by the Foundation uncovered additional information to update the report to include CPL Andregg as a probable match to Unknown X-3. DPAA finally acted on Chief Stone’s original recommendations and began exhumation of the “Unknowns” from the Punchbowl in October 2016. CPL Andregg was recovered from the Punchbowl and his identification as Unknown X-3 was officially announced on May 19, 2017. 2nd LT George Stanley Bussa was killed by gunshot wounds on 20 November 1943 on Tarawa. Chief Stone, while a member of JPAC, submitted reports in 2011 and 2012 noting that LT Bussa was not a biometric match to any “Unknowns” buried in the Punchbowl. On 26 November 2012, Foundation researchers, using information not available at JPAC, submitted a report to JPAC noting his likely burial in Cemetery 27 on Tarawa, also known as the “Lost Cemetery”. During a construction project in 2015, Cemetery 27 was finally discovered underneath a parking lot on Tarawa. LT Bussa was recovered from Cemetery 27 and his identification was officially announced on 21 April 2017. PVT Harold Sturtevant Hirschi, U.S. Army Air Corps, 19th Bomb Group, was captured by the Japanese during the Battle of Bataan and imprisoned in the Cabanatuan Prisoner of War Camp in the Philippines where he died of pellagra on 19 November 1942. PVT Hirschi was buried in a common grave in the camp with 13 other American prisoners. After the war, four individuals were identified from the grave and ten “unknowns” were buried in the Manila American Cemetery. Chief Stone was asked to investigate these cases as a member of JPAC and prepared a series of Investigative Reports in March 2012 using the RISC System which listed PVT Hirschi as a most likely match to Unknowns recovered from Grave 717 at Cabanatuan. These unknowns had been interred at the Manila American Cemetery since 1946. In 2013, the family of another Cabanatuan “unknown” identified by Chief Stone as being buried with PVT Hirschi filed a federal lawsuit seeking disinterment, which JPAC vigorously opposed. The family prevailed in the lawsuit and all of the Grave 717 “unknowns” recommended for disinterment by Chief Stone were exhumed in June 2014. PVT Hirschi was identified as one of these “unknowns” by the Armed Forces DNA Identification Laboratory on April 14, 2017. PFC John Kovach, Jr, U.S. Army, (Technician 4th Grade), C Company, 192nd Tank Battalion, was captured by the Japanese during the Battle of Bataan and imprisoned in the Cabanatuan Prisoner of War Camp in the Philippines where he died of illness on 19 November 1942. PFC Kovach was buried in a common grave in the camp with 13 other American prisoners. After the war, four individuals were identified from the grave and ten “unknowns” were buried in the Manila American Cemetery. Chief Stone was asked to investigate these cases as a member of JPAC and prepared a series of Investigative Reports in March 2012 using the RISC System which listed PFC Kovach as a most likely match to Unknowns recovered from Grave 717 at Cabanatuan. These unknowns had been interred at the Manila American Cemetery since 1946. In 2013, the family of another Cabanatuan “unknown” identified by Chief Stone as being buried with PFC Kovach filed a federal lawsuit seeking disinterment, which JPAC vigorously opposed. The family prevailed in the lawsuit and all of the Grave 717 “unknowns” recommended for disinterment by Chief Stone were exhumed in June 2014. PFC Kovach was identified as one of these “unknowns” by the Armed Forces DNA Identification Laboratory on April 10, 2017. PFC Jack Junior Fox was killed on 22 November 1943 on Tarawa. In 11 November 2011, Chief Rick Stone, while a member of the Department of Defense, submitted reports to JPAC using the RISC System noting PFC Fox as a possible match Unknown X-117 buried in the National Memorial Cemetery of the Pacific (Punchbowl) and recommended disinterment and identification. The Foundation later updated these reports and listed PFC Fox as one of only two most likely matches to Unknown X-117. After five years, the Department of Defense finally acted on Chief Stone’s original recommendations and began exhumation of the “Unknowns” from the Punchbowl in October 2016. PFC Fox was recovered from the Punchbowl and his identification was officially announced on 4 April 2017. Over one year later, official confirmation from DPAA that PFC Fox was X-117 was still pending. PVT Donald Samuel Spayd was killed by gunshot wounds on 20 November 1943 on Tarawa. On 26 November 2012, Foundation researchers, using information not available at JPAC, submitted a report to JPAC noting PVT Spayd’s possible burial in Cemetery 27 on Tarawa, also known as the “Lost Cemetery”. The Foundation later received a request for a “Family Report” from PVT Spayd’s family which was forwarded on 29 August 2016 noting that PVT Spayd was possibly buried in Cemetery 27 on Tarawa. During a construction project in 2015, Cemetery 27 was finally discovered underneath a parking lot on Tarawa. PVT Spayd was recovered from Cemetery 27 and his identification was officially announced on 17 March 2017. PFC James Ottis Whitehurst was killed by gunshot wounds on 20 November 1943 on Tarawa. On 26 November 2012, Foundation researchers, using information not available at JPAC, submitted a report to JPAC noting his likely burial in Cemetery 27 on Tarawa, also known as the “Lost Cemetery”. During a construction project in 2015, Cemetery 27 was finally discovered underneath a parking lot on Tarawa. PFC Whitehurst was recovered from Cemetery 27 and his official identification was announced on 4 January 2017. 2nd LT Ernest Albert Matthews, Jr. was killed by a gunshot wound to the abdomen on 20 November 1943 on Tarawa. Chief Stone, while a member of JPAC, submitted reports in 2011 and 2012 noting that LT Matthews was not a biometric match to any “Unknowns” buried in the Punchbowl. On 26 November 2012, Foundation researchers, using information not available at JPAC, submitted a report to JPAC noting his likely burial in Cemetery 27 on Tarawa, also known as the “Lost Cemetery”. During a construction project in 2015, Cemetery 27 was finally discovered underneath a parking lot on Tarawa. LT Matthews was recovered from Cemetery 27 and his identification was officially announced on 4 January 2017. SGT Sidney Asa Cook was killed by gunshot wounds on 20 November 1943 on Tarawa. On 26 November 2012, Foundation researchers, using information not available at JPAC, submitted a report to JPAC noting his likely burial in Cemetery 27 on Tarawa, also known as the “Lost Cemetery”. The Foundation later determined that SGT Cook was not a most likely match to any “Unknowns” buried in the Punchbowl. During a construction project in 2015, Cemetery 27 was finally discovered underneath a parking lot on Tarawa. SGT Cook was recovered from Cemetery 27 and his official identification was announced on 1 January 2017. PFC Larry Ronald Roberts was killed on 25 November 1943 on Tarawa and he was reported buried in Cemetery 11. In March 2016, Foundation researchers discovered a map noting the actual burial location of PFC Roberts and PFC Ben Gore, side by side, at a site which correlated with the recently discovered Cemetery 27 on Tarawa. The Foundation immediately notified the Department of Defense of this information on March 20, 2016. 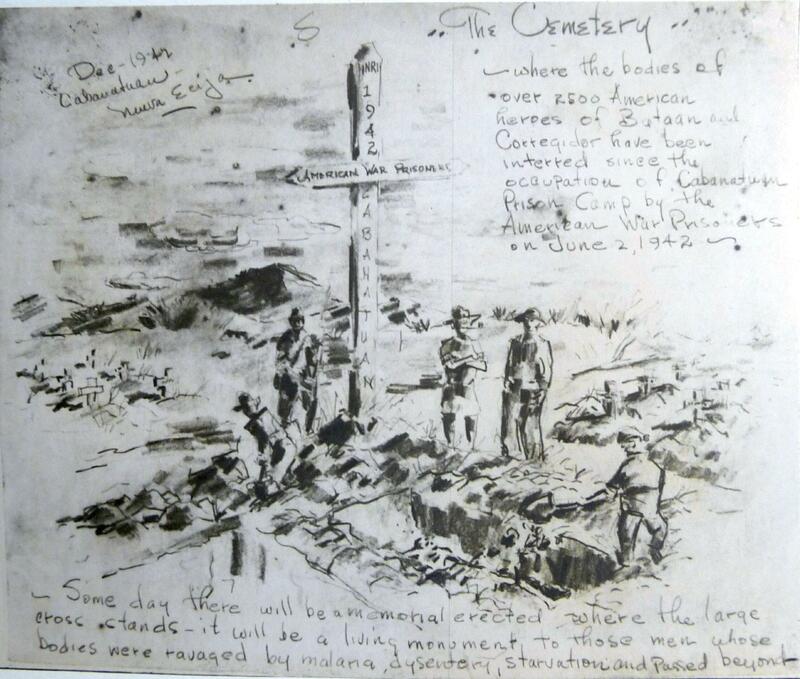 Although PFC Roberts was not recorded in any records as being buried in Cemetery 27, the map discovered by Foundation researchers proved to be correct. PFC Roberts’ identification by DNA comparison was officially announced on January 4, 2017 as a recovery from Cemetery 27. PFC Ben Hadden Gore was killed on 25 November 1943 on Tarawa and he was reported buried in Cemetery 33. In March 2016, Foundation researchers discovered a map noting the actual burial location of PFC Gore and PFC Larry Roberts, side by side, at a site which correlated with the recently discovered Cemetery 27 on Tarawa. The Foundation immediately notified the Department of Defense of this information on March 20, 2016. Although PFC Gore was not recorded in any records as being buried in Cemetery 27, the map discovered by Foundation researchers proved to be correct. PFC Gore’s identification by DNA comparison was officially announced on September 1, 2016 as a recovery from Cemetery 27. CPL Walter George Critchley was killed on 20 November 1943 on Tarawa. On 26 November 2012, Foundation researchers, using information not available at JPAC, submitted a report to JPAC noting CPL Critchley’s likely burial in Cemetery 27 on Tarawa, also known as the “Lost Cemetery”. The Foundation later received a request for a “Family Report” from CPL Critchley’s family which was forwarded on 7 April 2013. An update was sent to CPL Critchley’s family on July 2, 2015 citing CPL Critchley’s likely burial in Cemetery 27. During a construction project in 2015, Cemetery 27 was finally discovered underneath a parking lot on Tarawa. CPL Critchley was recovered from Cemetery 27 and his identification was announced on January 4, 2017. FM1c Warren Gordon Nelson was killed by gunshot wounds on 20 November 1943 on Tarawa. Chief Stone, while a member of JPAC, submitted reports in 2011 and 2012 noting that FM1c Nelson was not a biometric match to any “unknowns” buried in the Punchbowl. The Foundation received a request for a “Family Report” from FM1c Nelson’s family which was forwarded on 10 November 2013 noting that FM1c Nelson was likely buried in Cemetery 27 on Tarawa. During a construction project in 2015, Cemetery 27 was finally discovered underneath a parking lot on Tarawa. FM1c Nelson was recovered from Cemetery 27 and his identification was officially announced on 5 October 2016. PFC John William MacDonald was killed by gunshot wounds on 20 November 1943 on Tarawa. Chief Stone, while a member of the Department of Defense, submitted reports in 2011 and 2012 noting that PFC MacDonald was not a match to any “unknowns” buried in the Punchbowl. On 26 November 2012, Foundation researchers, using information not available at JPAC, submitted a report to JPAC noting PFC MacDonald’s likely burial in Cemetery 27 on Tarawa, also known as the “Lost Cemetery”. During a construction project in 2015, Cemetery 27 was finally discovered underneath a parking lot on Tarawa. PFC MacDonald was recovered from Cemetery 27 and his official identification was announced on 1 September 2016. PFC James Samuel Smith was listed as wounded in action on 20 November 1943 on Tarawa. Chief Stone, while a member of the Department of Defense, submitted reports in 2011 and 2012 noting that PFC Smith was not a biometric match to any “unknowns” buried in the Punchbowl. Chief Stone’s investigation revealed that PFC Smith was reported missing in action while being transferred for treatment to an off shore ship. The Foundation later received a request for a “Family Report” from PFC Smith’s family which was forwarded on 26 December 2012 noting the facts uncovered during Chief Stone’s investigation. On 6 September 2016, the Department of Defense announced the identification of remains found on Tarawa as those of PFC Smith. PFC Nicholas Jose Cancilla was lost on 20 November 1943 on Tarawa. Chief Stone, while a member of the Department of Defense, submitted reports in 2011 and 2012 noting that PFC Cancilla was not a biometric match to any “unknowns” buried in the Punchbowl. After participating in field recovery efforts on Tarawa, researchers from the Chief Rick Stone and Family Charitable Foundation submitted a report to JPAC on 26 November 2012 listing PFC Cancilla as a possible match to remains recovered during the mission. PFC Cancilla was finally identified as the recovered casualty and he was officially accounted for on 6 September 2016. SGT James Joseph Hubert was killed by a gunshots wound on 21 November 1943 on Tarawa. On 26 November 2012, Foundation researchers, using information not available at JPAC, submitted a report to JPAC noting SGT Hubert’s likely burial in Cemetery 27 on Tarawa, also known as the “Lost Cemetery”. The Foundation later received a request for a “Family Report” from SGT Hubert’s family which was forwarded on 11 August 2016 noting that SGT Hubert was likely buried in Cemetery 27 on Tarawa. During a construction project in 2015, Cemetery 27 was finally discovered underneath a parking lot on Tarawa. SGT Hubert was recovered from Cemetery 27 and his identification was officially announced on 1 September 2016. PFC Ronald William Vosmer was killed by gunshots wounds on 20 November 1943 on Tarawa. On 26 November 2012, Foundation researchers, using information not available at JPAC, submitted a report to JPAC noting PFC Vosmer’s likely burial in Cemetery 27 on Tarawa, also known as the “Lost Cemetery”. The Foundation later received a request for a “Family Report” from PFC Vosmer’s family which was forwarded on 25 April 2013 noting that PFC Vosmer was likely buried in Cemetery 27 on Tarawa. During a construction project in 2015, Cemetery 27 was finally discovered underneath a parking lot on Tarawa. PFC Vosmer was recovered from Cemetery 27 and his identification was announced on social media on 10 August 2016. PVT Emmett Leonard Kines was killed on 20 November 1943 on Tarawa. On 26 November 2012, Foundation researchers, using information not available at JPAC, submitted a report to JPAC noting PVT Kines’ likely burial in Cemetery 27 on Tarawa, also known as the “Lost Cemetery”. The Foundation later received a request for a “Researcher Report” from the West Virginia State Archives and History which was forwarded on 14 September 2014 noting that PVT Kines was likely buried in Cemetery 27 on Tarawa. During a construction project in 2015, Cemetery 27 was finally discovered underneath a parking lot on Tarawa. PVT Kines was recovered from Cemetery 27 and his identification was announced on social media on 10 August 2016. PVT Frank Francis Penna was killed by a gunshot wound on 20 November 1943 on Tarawa. On 26 November 2012, Foundation researchers, using information not available at JPAC, submitted a report to JPAC noting his likely burial in Cemetery 27 on Tarawa, also known as the “Lost Cemetery”. The Foundation later determined that PVT Penna was not a most likely match to any “Unknowns” buried in the Punchbowl. During a construction project in 2015, Cemetery 27 was finally discovered underneath a parking lot on Tarawa. PVT Penna was recovered from Cemetery 27 and his official identification was announced on 10 August 2016. PFC Wilbur Clyde Mattern was killed by a gunshot wound on 21 November 1943 on Tarawa. On 26 November 2012, Foundation researchers, using information not available at JPAC, submitted a report to JPAC noting his likely burial in Cemetery 27 on Tarawa, also known as the “Lost Cemetery”. The Foundation later determined that PFC Mattern was not a most likely match to any “Unknowns” buried in the Punchbowl. During a construction project in 2015, Cemetery 27 was finally discovered underneath a parking lot on Tarawa. PFC Mattern was recovered from Cemetery 27 and his official identification was announced on 9 August 2016. SGT Fae Verlin Moore was killed by gunshots wounds on 20 November 1943 on Tarawa. SGT Moore’s records indicated burial in three different cemeteries (Cemeteries 3, 27, and 33), including a photo of his isolated grave in Cemetery 3. The Foundation received a request for a “Family Report” from SGT Moore’s family which was forwarded on 17 April 2013 noting that SGT Moore was likely buried in Cemetery 33 on Tarawa based on documentation from the Army Graves Registration Unit. During a construction project in 2015, Cemetery 27 was finally discovered underneath a parking lot on Tarawa. SGT Moore was recovered from Cemetery 27 and his official identification was announced on 9 August 2016. PVT Dale Robert Geddes, U.S. Marine Corps Reserves, H Company, 3rd Battalion, 8th Marines, 2nd Marine Division, was killed by a sniper while giving aid to a wounded buddy on 20 November 1943 on Tarawa. Chief Stone, while a member of the Department of Defense, submitted reports in 2011 and 2012 noting that PVT Geddes was not a match to any “unknowns” buried in the Punchbowl. On 26 November 2012, Foundation researchers, using information not available at JPAC, submitted a report to JPAC noting PVT Geddes’s likely burial in Cemetery 27 on Tarawa, also known as the “Lost Cemetery”. The Foundation later received a request for a “Family Report” from PVT Geddes’ family which was forwarded on 9 June 2015 noting that PVT Geddes’ was likely buried in Cemetery 27 on Tarawa. During a construction project in 2015, Cemetery 27 was finally discovered underneath a parking lot on Tarawa. PVT Geddes was recovered from Cemetery 27 and his official identification was announced on 13 April 2016. 1st LT Robert Ernest Moessner, U.S. Army Air Force, 373rd Bombardment Squadron, 308th Bomb Group, 14th Air Force, was the bombardier of the B-24 “Sweepy Time Gal” lost on a mission to attack Japanese shipping near Hong Kong on 18 April 1944. The Foundation received a request for a “Family Report” from the family of another crew member of the Sweepy Time Gal which was forwarded on 14 July 2014. The report using the RISC System and subsequent updates concluded that an “Unknown”, whose remains had been sitting in a cardboard box on a shelf at JPAC/DPAA since August 2005, was exclusively correlated to LT Moessner’s aircraft and that LT Moessner was a most likely match to the unidentified remains. LT Moessner was officially identified on 17 November 2016 by the Department of Defense as the “Unknown” cited the Foundation’s investigation. CPL Frederick G. Collins, Jr, U.S. Army, 263rd Quartermaster Company, Quartermaster Corps, was captured by the Japanese during the Battle of Bataan and imprisoned in the Cabanatuan Prisoner of War Camp in the Philippines where he died of illness on 19 November 1942. CPL Collins was buried in a common grave in the camp with 13 other American prisoners. After the war, four individuals were identified from the grave and ten “unknowns” were buried in the Manila American Cemetery. Chief Stone was asked to investigate these cases as a member of JPAC and prepared a series of Investigative Reports in March 2012 using the RISC System which listed CPL Collins as a possible match to Unknown X-814 recovered from Grave 717 at Cabanatuan. These unknowns had been interred at the Manila American Cemetery since 1946. In 2013, the family of another Cabanatuan “unknown” identified by Chief Stone as being buried with CPL Collins filed a federal lawsuit seeking disinterment, which JPAC vigorously opposed. The family prevailed in the suit and all of the Grave 717 “unknowns” recommended for disinterment by Chief Stone were exhumed in June 2014. CPL Collins was identified as Unknown X-814 by the Armed Forces DNA Identification Laboratory on June 7, 2016. PhM3c Howard Pascal Brisbane was killed by a Japanese machine gun on 20 November 1943 on Tarawa. Chief Stone, while a member of the Department of Defense, submitted reports in 2011 and 2012 noting that PhM3c Brisbane was not a biometric match to any “Unknown” buried in the Punchbowl. On 26 November 2012, Foundation researchers, using information not available at JPAC, submitted a report to JPAC noting PhM3c Brisbane’s likely burial in Cemetery 27 on Tarawa, also known as the “Lost Cemetery”. During a construction project in 2015, Cemetery 27 was finally discovered underneath a parking lot on Tarawa. PhM3c Brisbane was recovered from Cemetery 27 and his family was notified of his identification on 2 June 2016. PVT Evans Ernest Overbey, U.S. Army Air Force, 93rd Bombardment Squadron, 19th Bombardment Group, was captured by the Japanese during the Battle of Bataan and imprisoned in the Cabanatuan Prisoner of War Camp in the Philippines where he died of illness on 19 November 1942. PVT Overbey was buried in a common grave in the camp with 13 other American prisoners. After the war, four individuals were identified from the grave and ten “unknowns” were buried in the Manila American Cemetery. Chief Stone was asked to investigate these cases as a member of JPAC and prepared a series of Investigative Reports in March 2012 using the RISC System which listed PVT Overbey as a probable match to Unknown X-812 recovered from Grave 717 at Cabanatuan. These unknowns had been interred at the Manila American Cemetery since 1946. In 2013, the family of another Cabanatuan “unknown” identified by Chief Stone as being buried with PVT Overbey filed a federal lawsuit seeking disinterment, which JPAC vigorously opposed. The family prevailed in the suit and all of the Grave 717 “unknowns” recommended for disinterment by Chief Stone were exhumed in June 2014. PVT Overbey was identified as Unknown X-812 by the Armed Forces DNA Identification Laboratory on June 1, 2016. PVT Harry Kay Tye, U.S. Marine Corps, E Company, 2nd Battalion, 8th Marines, 2nd Marine Division, was killed by gunshot wounds on 20 November 1943 on Tarawa. On 26 November 2012, Foundation researchers, using information not available at JPAC, submitted a report to JPAC noting his likely burial in Cemetery 27 on Tarawa, also known as the “Lost Cemetery”. The Foundation later received a request for a “Family Report” from PVT Tye’s family which was forwarded on 28 June 2015 noting his likely burial in Cemetery 27. During a construction project in 2015, Cemetery 27 was finally discovered underneath a parking lot on Tarawa. PVT Tye was recovered from Cemetery 27 and his official identification was announced on 6 May 2016. PFC George Harry Traver was killed by gunshot wounds on 20 November 1943 on Tarawa. The Foundation received a request for a “Family Report” from PFC Traver’s family which was forwarded on 10 October 1912. On 26 November 2012, Foundation researchers, using information not available at JPAC, submitted a report to JPAC noting PFC Traver’s likely burial in Cemetery 27 on Tarawa, also known as the “Lost Cemetery”. During a construction project in 2015, Cemetery 27 was finally discovered underneath a parking lot on Tarawa. PFC Traver was recovered from Cemetery 27 and his family was notified of his identification on 14 May 2016. PFC James Francis Mansfield was killed by gunshot and shrapnel wounds on 20 November 1943 on Tarawa. Chief Stone, while a member of the Department of Defense, submitted reports in 2011 and 2012 noting that PFC Mansfield was not a biometric match to any “unknown” buried in the Punchbowl. The Foundation later received a request for a “Family Report” from PFC Mansfield’s family which was forwarded on 14 November 2012 noting his likely burial in an unmarked grave on Tarawa. On 26 November 2012, Foundation researchers, using information not available at JPAC, submitted a report to JPAC noting his likely burial in Cemetery 27 on Tarawa, also known as the “Lost Cemetery”. The Foundation received a request for an updated report from PFC Mansfield Family which was forwarded on 18 October 2015 noting his likely burial in Cemetery 27. During a construction project in 2015, Cemetery 27 was finally discovered underneath a parking lot on Tarawa. PFC Mansfield was recovered from Cemetery 27 and his identification was officially announced on 6 May 2016. PVT Charles Edward Oetjen was killed by gunshot wounds on 20 November 1943 on Tarawa. Chief Stone, while a member of the Department of Defense, submitted reports in 2011 and 2012 noting that PVT Oetjen was not a biometric match to any “unknown” buried in the Punchbowl. On 26 November 2012, Foundation researchers, using information not available at JPAC, submitted a report to JPAC noting his likely burial in Cemetery 27 on Tarawa, also known as the “Lost Cemetery”. The Foundation later received a request for a “Family Report” from PVT Oetjen’s family which was forwarded on 11 June 2015 noting his likely burial in Cemetery 27. During a construction project in 2015, Cemetery 27 was finally discovered underneath a parking lot on Tarawa. PVT Oetjen was recovered from Cemetery 27 and the media announced his identification in May 2016. PFC Elmer Lewis Mathies was killed by a sniper on 20 November 1943 on Tarawa. On 26 November 2012, Foundation researchers, using information not available at JPAC, submitted a report to JPAC noting his likely burial in Cemetery 27 on Tarawa, also known as the “Lost Cemetery”. On 31 August 2014, Foundation researchers contacted a witness to a Marine’s death on Tarawa who knew the Marine only by the nickname, “Rabbit”. The witness was provided a photo of PFC Mathies who identified him as “Rabbit”. This information, combined with other Foundation research, confirmed the likelihood that PFC Mathies was buried in Cemetery 27. The Foundation later received a request for a “Family Report” from PFC Mathies’ family which was forwarded on 5 March 2016 noting his likely burial in Cemetery 27. During a construction project in 2015, Cemetery 27 was finally discovered underneath a parking lot on Tarawa. PFC Mathies was recovered from Cemetery 27 and the media announced his identification in May 2016. PFC Roland Everett Schaede was killed by a gunshot wound on 20 November 1943 on Tarawa. In 2011/2012, Chief Stone determined that PFC Schaede was not a most likely match for any “Unknowns” buried in the Punchbowl. Foundation researchers, using information not available at JPAC, confirmed that PFC Schaede was not a match to any Punchbowl Unknowns and submitted a report to JPAC noting his likely burial in Cemetery 27 on Tarawa, also known as the “Lost Cemetery”. During a construction project in 2015, Cemetery 27 was finally discovered on Tarawa. PFC Schaede was recovered from Cemetery 27, long hidden underneath a parking lot on Tarawa, and officially identified on 6 May 2016. PFC James Bernard Johnson was killed by gunshot wounds on 20 November 1943 on Tarawa. In 2011/2012, Chief Stone determined that PFC Johnson was not a most likely match for any “Unknowns” buried in the Punchbowl. Foundation researchers, using information not available at JPAC, confirmed that PFC Johnson was not a match to any Punchbowl Unknowns and submitted a report to JPAC noting his likely burial in Cemetery 27 on Tarawa, also known as the “Lost Cemetery”. During a construction project in 2015, Cemetery 27 was finally discovered on Tarawa. PFC Johnson was recovered from Cemetery 27, long hidden underneath a parking lot on Tarawa, and officially identified on 24 May 2016. PVT Palmer Sherman Haraldson was lost participating in an assault on a Japanese bunker on 22 November 1943 on Tarawa. The assault was led by 1st LT Alexander Bonnyman, who was awarded the Congressional Medal of Honor. On 26 November 2012, Foundation researchers, using information not available at JPAC, eliminated PVT Haraldson as a possible match to any unknown buried in the Punchbowl and submitted a report to JPAC noting his likely burial in Cemetery 27 on Tarawa, also known as the “Lost Cemetery”. The Foundation later received a request for a “Family Report” from PVT Haraldson’s family which was forwarded on 12 September 2015 noting his likely burial in Cemetery 27 on Tarawa. During a construction project in 2015, Cemetery 27 was finally discovered underneath a parking lot on Tarawa. PVT Haraldson was recovered from Cemetery 27 and officially identified in April 2016. CPL George G. Simmons, U.S. Army, Battery H, 60th Coastal Artillery Regiment, was captured by the Japanese during the Battle of Bataan and imprisoned in the Cabanatuan Prisoner of War Camp in the Philippines where he died of illness on 19 November 1942. CPL Simmons was buried in a common grave in the camp with 13 other American prisoners. After the war, four individuals were identified from the grave and ten “unknowns” were buried in the Manila American Cemetery. Chief Stone was asked to investigate these cases as a member of JPAC and prepared a series of Investigative Reports in March 2012 using the RISC System which listed CPL Simmons as a most likely match to Unknowns recovered from Grave 717 at Cabanatuan. These unknowns had been interred at the Manila American Cemetery since 1946. In 2013, the family of another Cabanatuan “unknown” identified by Chief Stone as being buried with CPL Simmons filed a federal lawsuit seeking disinterment, which JPAC vigorously opposed. The family prevailed in the suit and all of the Grave 717 “unknowns” recommended for disinterment by Chief Stone were exhumed in June 2014. CPL Simmons was identified as one of these “unknowns” by the Armed Forces DNA Identification Laboratory on April 14, 2016. PFC John Saini was killed by gunshot wounds on 20 November 1943 on Tarawa. In 2011/2012, Chief Stone determined that PFC Saini was not a most likely match for any “Unknowns” buried in the Punchbowl. Foundation researchers, using information not available at JPAC, confirmed that PFC Saini was not a match to any Punchbowl Unknowns and submitted a report to JPAC noting his likely burial in Cemetery 27 on Tarawa, also known as the “Lost Cemetery”. During a construction project in 2015, Cemetery 27 was finally discovered on Tarawa. PFC Saini was recovered from Cemetery 27, long hidden underneath a parking lot on Tarawa, and officially identified on 23 April 2016. PFC John Frederick Prince was killed by gunshot wounds on 20 November 1943 on Tarawa. In 2011/2012, Chief Stone determined that PFC Prince was not a most likely match for any “Unknowns” buried in the Punchbowl. Foundation researchers, using information not available at JPAC, confirmed that PFC Prince was not a match to any Punchbowl Unknowns and submitted a report to JPAC noting his likely burial in Cemetery 27 on Tarawa, also known as the “Lost Cemetery”. During a construction project in 2015, Cemetery 27 was finally discovered on Tarawa. PFC Prince was recovered from Cemetery 27, long hidden underneath a parking lot on Tarawa, and officially identified in April 2016. PFC Anthony Brozyna was killed by gunshot wounds on 20 November 1943 on Tarawa. In 2011/2012, Chief Stone determined that PFC Brozyna was not a most likely match for any “Unknowns” buried in the Punchbowl. Foundation researchers, using information not available at JPAC, confirmed that PFC Brozyna was not a match to any Punchbowl Unknowns and submitted a report to JPAC noting his likely burial in Cemetery 27 on Tarawa, also known as the “Lost Cemetery”. During a construction project in 2015, Cemetery 27 was finally discovered on Tarawa. PFC Brozyna was recovered from Cemetery 27, long hidden underneath a parking lot on Tarawa, and officially identified in April 2016. CPL James Dimitri Otto was reported as Wounded in Action on 20 November 1943 on Tarawa but was never accounted for after the battle. In 2011/2012, Chief Stone determined that CPL Otto was not a most likely match for any “Unknowns” buried in the Punchbowl. Foundation researchers, using information not available at JPAC, confirmed that CPL Otto was not a match to any Punchbowl Unknown and submitted a report to JPAC noting his likely burial in Cemetery 27 on Tarawa, also known as the “Lost Cemetery”. During a construction project in 2015, Cemetery 27 was finally discovered on Tarawa. CPL Otto was recovered from Cemetery 27, long hidden underneath a parking lot on Tarawa, and officially identified on 11 September 2015. 1st LT Alexander Bonnyman, Jr, U.S. Marine Corps Reserves, F Company, 2nd Battalion, 18th Marines, 2nd Marine Division, was lost leading an assault on a Japanese bunker on 22 November 1943 on Tarawa. For his heroic actions, 1st LT Bonnyman was awarded the Congressional Medal of Honor. The Foundation received a request for a “Family Report” from 1st LT Bonnyman’s family which was forwarded on 11 October 2012. On 26 November 2012, Foundation researchers, using information not available at JPAC, eliminated 1st LT Bonnyman as a possible match to any unknown buried in the Punchbowl and submitted a report to JPAC noting his likely burial in Cemetery 27 on Tarawa, also known as the “Lost Cemetery”. During a construction project in 2015, Cemetery 27 was finally discovered on Tarawa. 1st LT Bonnyman was recovered from Cemetery 27, long hidden underneath a parking lot on Tarawa, and officially identified in August 2015. 2nd LT Stephen V. Biezis, U.S. Army Air Force, 575th Squadron, 391st Bomb Group, 9th Air Force, was the co-pilot of the B-26 “Silver Dollar” lost on a bombing mission to attack a railroad bridge in Ahrweiler, Germany on 23 December 1944. This was the first case assigned to Chief Stone to investigate as a member of the Department of Defense. Chief Stone submitted a report on 6 July 2011 noting that JPAC investigation teams had investigated the location of an aircraft crash near Manderscheid, Germany three times and a recovery team was currently excavating the same site at the time the report was being written. Chief Stone concluded that the crash site was exclusively correlated to LT Biezis’ aircraft and that LT Biezis and his pilot remained missing. LT Biezis was finally recovered in Germany and officially identified on 3 February 2015. PVT Arthur H. “Bud” Kelder, U.S. Army, Medical Department, was captured by the Japanese during the Battle of Bataan and imprisoned in the Cabanatuan Prisoner of War Camp in the Philippines where he died of illness on 19 November 1942. PVT Kelder was buried in a common grave in the camp with 13 other American prisoners. After the war, four individuals were identified from the grave and ten “unknowns” were buried in the Manila American Cemetery. Chief Stone was asked to investigate these cases as a member of JPAC and prepared an Investigative Report on 8 March 2012 using the RISC System to list PVT Kelder as a most likely match to Unknown X-816. Later, the Foundation received a request for a “Family Report” from a member of PVT Kelder’s family. This report was prepared and forwarded on 25 February 2013 and confirmed PVT Kelder as a most likely match to Unknown X-816. PVT Kelder’s family filed a federal lawsuit seeking disinterment of X-816, which JPAC vigorously opposed. The family prevailed in the suit and Unknown X-816 was exhumed in June 2014. PVT Kelder was identified as Unknown X-816 by the Armed Forces DNA Identification Laboratory on 22 December 2014. 1st LT James Frank Gatlin, Jr., U.S. Army Air Force, 575th Squadron, 391st Bomb Group, 9th Air Force, was the pilot of the B-26 “Silver Dollar” lost on a bombing mission to attack a railroad bridge in Ahrweiler, Germany on 23 December 1944. This was the first case assigned to Chief Stone to investigate as a member of the Department of Defense. Chief Stone submitted a report on 6 July 2011 noting that JPAC investigation teams had investigated the location of an aircraft crash near Manderscheid, Germany three times and a recovery team was currently excavating the same site at the time the report was being written. Chief Stone concluded that the crash site was exclusively correlated to LT Gatlin’s aircraft and that LT Gatlin and his co-pilot remained missing. LT Gatlin was finally recovered from the crash site in Germany and officially identified on 9 January 2015. PVT Jack Marvin Redman, U.S. Marine Corps, Headquarters Company, 3rd Battalion, 6th Marines, 2nd Marine Division, was lost to a sniper’s bullet on 23 November 1943 on Tarawa. After discussing the case with a member of PVT Redman’s family, Chief Stone, while a member of the Department of Defense, submitted a report on 11 December 2011 noting the family’s belief that PVT Redman might be one of the unknowns in the Punchbowl. Later, the Foundation received a request for a “Family Report” from another member of PVT Redman’s family. This report was prepared and forwarded on 18 October 2012 noting that a photo existed in government records of PVT Redman’s lone grave in Cemetery 38 on Tarawa. PVT Redman was finally recovered from that exact location on Tarawa and officially identified in December 2014. PFC Lawrence S. Gordon, U.S. Army, Reconnaissance Company, 32nd Armored Regiment, 3rd Armored Division, was lost on 13 August 1944, near Ranes, France. Researchers from the Chief Rick Stone and Family Charitable Foundation received a request for a “Family Report” from PFC Gordon’s family. This report was prepared and forwarded on 30 March 2013 using the RISC System to list PFC Gordon as a possible match to an “unknown” buried in a French cemetery. PFC Gordon was finally identified as the “unknown” buried in the French cemetery by the French government using DNA after JPAC refused to examine the remains. PFC Gordon was officially accounted for on 27 May 2014. PFC Manley Forrest Winkley was lost on 20 November 1943 on Tarawa. After participating in field recovery efforts on Tarawa, researchers from the Chief Rick Stone and Family Charitable Foundation submitted a report to JPAC on 26 November 2012 listing PFC Winkley as a possible match to remains recovered during the mission. In addition, the Foundation received a request for a “Family Report” from PFC Winkley’s family. This report was prepared and forwarded on 22 April 2013 listing PFC Winkley as a possible match to the recovered remains. Less than one year after the Foundation identified PFC Winkley as a match and 70 years after the Marine died, DPAA confirmed the identification on 1 June 2013. On 13 June 2012, while a member of the Department of Defense, Chief Stone investigated an aircraft crash on the Colony Glacier in Alaska. Chief Stone correlated the crash site with the loss of a C-124 on 22 November 1952. Chief Stone submitted a report to JPAC which included a list of 52 “unresolved” casualties associated with this crash and recommended immediate recovery efforts of remains from the crash site. As of the date of this report, the following individuals have been identified. All were on the list originally submitted to JPAC by Chief Stone. It is through your support of our Foundation’s efforts that the families of these recovered heroes finally received information and closure regarding their loss. On behalf of these brave men and that of their families, please accept our most sincere thank you. Copyright 2012 – 2019, All Rights Reserved, The Chief Rick Stone and Family Charitable Foundation.